Intermittent maintenance therapy in chronic hand eczema with clobetasol propionate and flupredniden acetate. Möller H, Svartholm H, Dahl G. Curr Med Res Opin. 1983;8(9):640-4. One possible reason for the lack of effect of continuous administration of topical corticosteroids is tachyphylaxis. This phenomenon, a decreasing effect with repeated administration, has been demonstrated in man as well as in the mouse, using different parameters such as vasoconstriction. 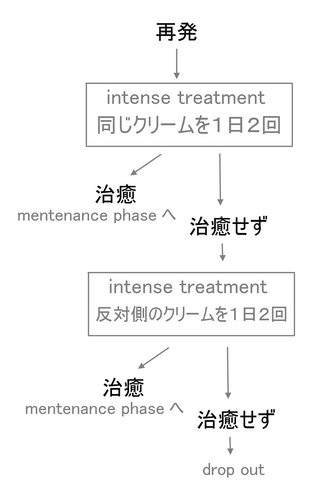 clinical effect, and inhibition of epidermal DNA syntheis. It is noteworthy that mild as well as strong corticosteroids may induce tachyphylaxis. 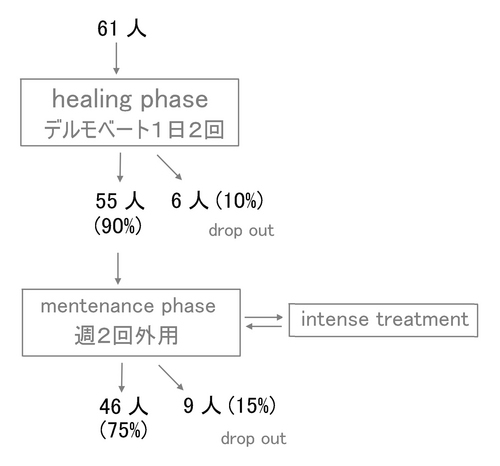 The present schedule for maintenance therapy of chronic hand eczema was designed to avoid the induction of tachyphylaxis by using intermittent administration of corticosteroids. Of course, there is no evidence that this purpose was achieved. The results showed that the dermatitis was kept in remission for a considerable period with both preparations, even better than with the more or less continuous treatment before the initial phase. 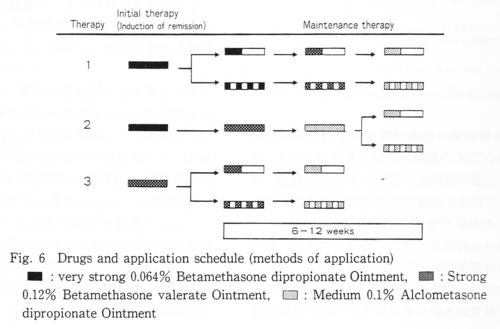 It is not surprising that the highly potent clobetasol (a) induced the longest remission periods, (b) was more often the drug preferred when patients had to switch to the other cream, and (c) was considered the superior corticosteroid in more instances by the dermatologists. The long remission periods are quite comparable with those obtained with the same corticosteroid in psoriasis, also using intermittent administration. It might be expected that the greater and more long-lasting efficacy of clobetasol should also imply a greater frequency of side-effects. This was not the case. Side-effects were few with both preparations and all were negligible. Clobetasol propionate is classified as a very strong corticosteroid, mainly because of its high potency in the vasoconstriction test using alcoholic vehicles. When comparing the proprietary creams and ointments, however, its effect is of a similar order as that of fluocinolone acetonide and betamethasone alerrate. This fact, and of course the intermittent administration, should explain the absence of serious side-effects. Another potent corticosteroid, halcinonide, was subject to a study on the application frequency. In psoriasis, a schedule of 3-times daily was clearly superior to once-daily administration; in atopic dermatitis, however, the difference between the two schedules was very small. In another study on the effect of clobetasol propionate in psoriasis the result was not worse when it was given on 3 consecutive days per week instead of daily, in spite of a 43% reduction in the total amount administered. Similar results were obtained with fluocortolone in psoriasis and eczema. Evidently, a re-evaluation of traditional treatment schedules for topical corticosteroids is now warranted. Finally, another favourable result emerged from the present study. By continuous treatment for an average of 11 days it was possible to heal 90% of the patients with long-standing hand eczema. In most cases, previous treatment with corticosteroids of lower potency had failed. Since acanthosis is a regular element of chronic eczema the effect of clobetasol may be explained at least partly by its antimitotic action leading to rapid inhibition of psoriatic acanthosis. Dermatologists and laymen alike have warned against the dangers of applying ever more potent corticosteroids to human skin to combat cutaneous inflammation. We agree that continuous administration of strong preparations should generally not be advocated. 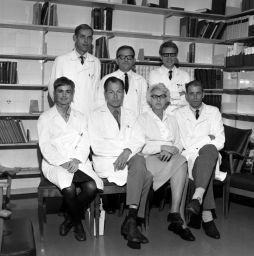 We believe, however, that the development of a drug with maximal efficiency is medical progress. It is then the obligation of the professionals to indicate the optimal means of using this powerful instrument.